Early in his career, L. Bynum Driggers was a believer in the theory that improving the environments of animals improved the production and quality of the animals providing food. He devoted his life to that belief, becoming a dedicated professional who made outstanding contributions to the design of agricultural structures. Driggers grew up in Sumter, S.C., and headed to Clemson University for his undergraduate degree. “In 1957, upon receiving a B.S. degree in Agricultural Engineering from Clemson, I was employed by Virginia Tech as the Farm Buildings Plans Specialist and thus began my career in the Structures and Environment field of Agricultural Engineering, the first in my family,” he recalls. He spent 10 years at Virginia Tech as an agricultural engineer before joining the staff at North Carolina State University. A leader of extension agriculture engineers throughout the U.S., he significantly influenced many rural construction practices, pioneering a number of ventilation and environmental controls for livestock housing that are now widely accepted in the industry. Much of his work involved the on-farm set-up of research and demonstration units, testing ways to improve barn airflow and techniques for animal feeding. He also taught agricultural engineering. Two innovations in swine housing that were developed by Driggers changed the way in which hogs are produced. The first was the North Carolina Underfloor ventilation system for slotted floor swine buildings which allows the winter ventilation rate to be exhausted from beneath the slotted floors, removing odors and gases from the building before they appreciably enter the animal and personnel area, providing a better environment for both. The second was the partially controlled environment breeding facility as an effective means of improving reproductive performance in the herd. A number of swine building plans featuring the North Carolina underfloor ventilation system were developed. Many of the plans were accepted by the Federal Cooperative Plan Exchange and made available to all 50 states through their respective Land Grant institutions. Using these plans, North Carolina swine production grew from a national ranking of nine in the 1970s, to the Number 2 state in the nation today. To bridge the gap between animal and poultry science technology and engineering technology, Driggers developed a graduate course for Extension agents, “Environmental and Structural Requirements in Farm Buildings.” In cooperation with Poultry Science, Driggers was instrumental in the inauguration of the North Carolina Poultry Housing Seminar, and for many years, data was collected and disseminated on energy use and conservation in swine and poultry housing systems. Driggers is the author or co-author of 13 refereed journal articles, 83 Extension publications, 36 proceedings and technical reports, 72 papers for professional meetings and technical conferences, and 47 popular articles which included two for Farm Building News (now Rural Builder) in 1972. His list of awards is long and illustrious, including among others, the 2008 North Carolina Pork Council Hall of Fame, 1989 ASAE Fellow, North Carolina Agriculture Extension Service 1977 Superior Leadership Award, and Who’s Who listings in the categories of Engineering and Frontiers of Science and Technology. 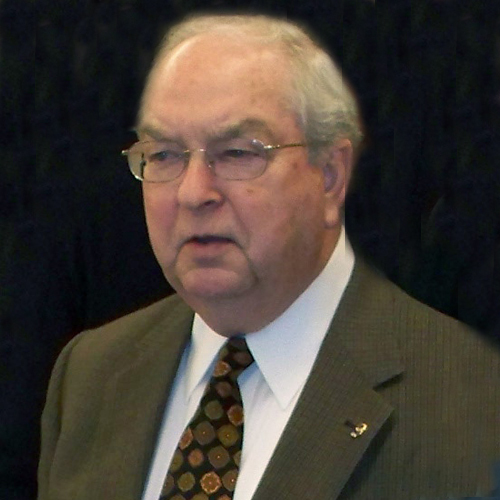 In 2011 Driggers was inducted into the Rural Builders Hall of Fame.